Wherever I photographically travel, I need power. I am at the mercy of all sorts of irritating plugs, adapters and converter complications. European, America, South Africa, India... and let’s not mention Italy and its weird three-pin plug headache - different thickness pins in one part of Italy, thicker ones in the other, or sometimes both in the same bloody room – who does that?! Who creates a two pin plug socket system (yes that's you America) where your chargers literally fall out of the tired hotel wall sockets onto the floor when you're asleep?! Excluding our phones, tablets, and computers that require even more clobber, the modern photographer-on-the-move faces an ever growing bag of docking units and wires. I have multiple cameras that all need charging – I started with two europlug convertors, now I need to take a four way - wires spread everywhere, lights flashing all night - I'm sleeping in a comms-room… agghh. BUT there's another irritation - I can’t charge any of this in the car. Now I need a specialist car charger or a power inverter, a big brick size gold block, a single socket that qickly drains my car battery and yet trickles power, whilst fans whirr and the bloody thing beeps without warning from the passenger footwell - power cables, more wires…. no more I say - No MORE! About £80, an Amazon account…. and that’s it. If you want to buy the entire list and build an identical set up to me, then you need £105.30 – but I’m down the nerdhole here I admit. 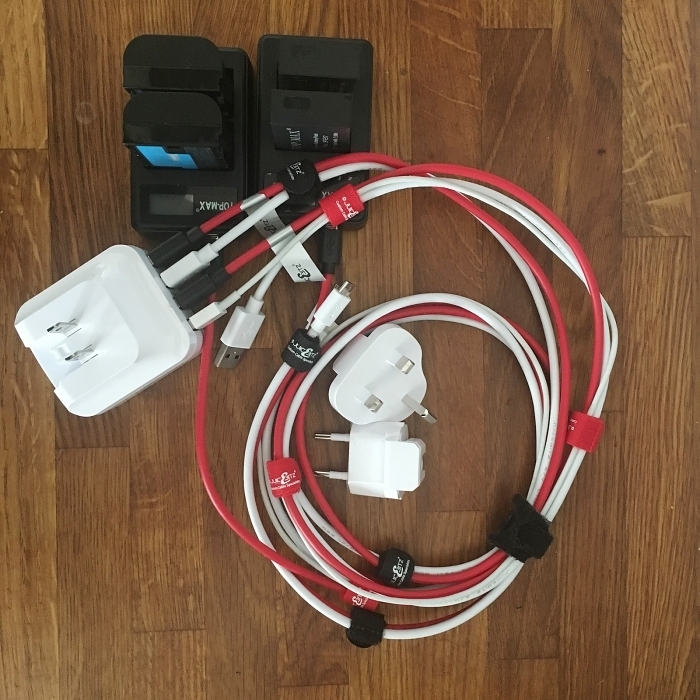 I bought a USB charger, a dual battery charger for both the EOS M3 system I have and the 5D4 / 6D system as well as all the associated cables to charge my phone, iPad Mini 2 and any other device I need to bring with me. So What Does All This Do that My Clobber Can’t? Not a lot more... I am joking, it's a lot more options. Let’s look at the cameras first. If you only have the standard camera charger, then the headline is 'dual charging' and this followed by the subtitle 'fast charging'. The Topmax chargers are designed to dual charge at high speed and tests have shown I can get two batteries charged from flat in just over an hour at home. That’s bloody great. The beauty of the Topmax chargers is that they are powered using Micro USB leads, not IEC C7 ‘figure of 8’ mains leads and this gives a massive advantage – you guessed it – they can be charged in the car (more on that in a bit). 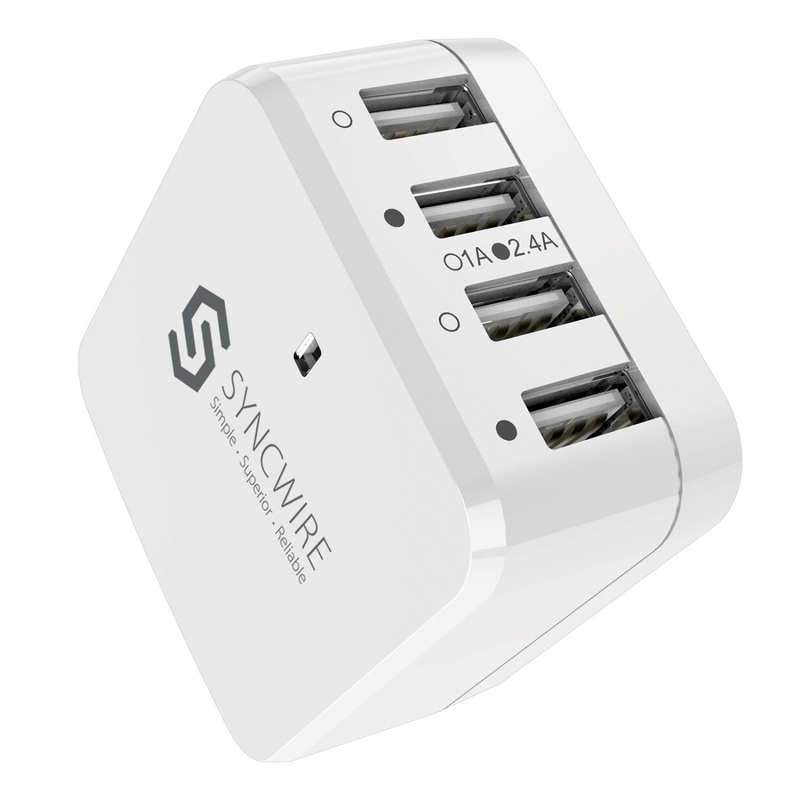 Now let me introduce the Syncwire 4port USB charger. With three different country adapters included, (American as standard with the other convertors slotting into the 2 pins) it has two 1A output sockets and two 2.4A sockets. We will use the 2.4A ports to charge the camera batteries, leaving the other two for other USB devices, like a phone. The 2.4A delivery kicks the Topmax chargers into top gear, but there’s a problem – you need Fast Charge USB cables. What is a Fast Charge Cable? Well other than stating the bleedin’ obvious, it’s a cable that contains a lot more copper than a standard Micro USB cable, which is why it costs more. Cables are rated in AWG (American Wire Gauge) - the bigger the number the thinner the copper, so a 40AWG rated cable cannot transfer as much power as a 20AWG cable; these are the ones to get. In fact, the ones that come with the Topmax are as thin as a hair strand, so you need to toss them in your ever growing ‘crap USB cables’ draw and replace them with quality 20AWG cables immediately. 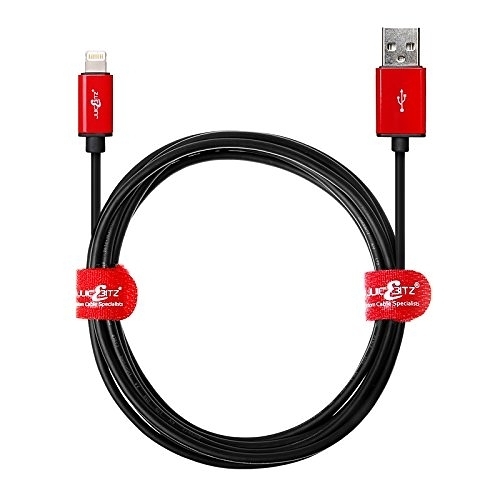 David(s) recommended the Juicebitz 20AWG Fast Charge Cables as they are extremely well made and you'll be running at full power. Now your making a loom… yes, you’re making your first LOOM – it feels transcendental – all the cables have Velcro straps so you can do this again and again with different cable combinations to suit your peripherals. This is why I bought RED and WHITE cables. I use red for 2.4A and white for 1A outputs respectively. Do not get shorter than 1m, you'll regret it. It may be beneficial to get a longer cable, but remember the longer the cable the higher the resistance. Ok, I went overboard and also bought the Juicebitz Apple cables, as these are also fast charge – they do make a big difference from the snail-pace triangle Apple socket I usually have to put up with. My intention, once again, is to be able to swap cables into all manner of configurations, both in the home, hotel and the car - this system really works. After ditching multiple A303 garage purchases in garage bins further up the motorway, I opted for dual 2.4A car chargers, one for the console and one for the boot / trunk. I can now fast charge the camera batteries as I drive, perfect for workshop clients too. I can then use my Apple cables to fast charge in my phone / iPad from the console socket and rid myself of all the flight deck lead anxiety. What a setup. The Topmax Dual Dhargers I bought come with two batteries as part of the package. OK, we all know they want last long, but it's a bonus I am thankful for, especially regarding the EOS M3. I always use a battery a day, but now I can extend my review time. Can you buy Topmax chargers for your camera? Have look, I'm 'not your googlebitch', (my wife always says that, haha) - Will this system last the test of time? I have no idea, but many five star Amazon reviews seem to highlight that it should. The problem with any setup is the leads; the length and the quality. They break, they split. The Juicebitz cables are top quality, so I have high hopes this will last me for years. The Topmax chargers seem somewhat on the light-side - they feel cheap when you consider you get two batteries for just over £20, they could easily be replaced. They have LCD display charge meters too, a great feature that literally all OEM chargers omit. Exam pencil cases are ideal - look up 'large exam pencil case' if you want one for all your camera bits and forget expensive camera company options. 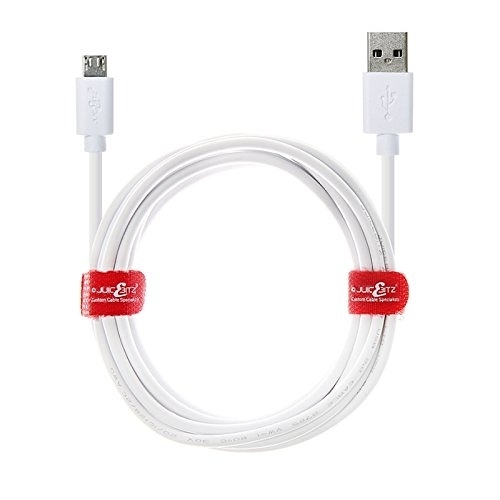 At its heart, is a Micro USB system that means versatility in the home, the office, the hotel and the car. And do you know what? I just put it all on the kitchen scales - it weighs just 600g....just 600g!